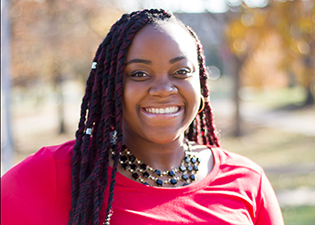 Courtney Lucas, Business Leadership Council (BLC) president, is about to graduate in December with a bachelor of science in finance and has secured a job after graduation. Having completed her undergraduate degree in three and a half years, Lucas shared how her involvement with the BLC and other activities have contributed to her success. She has been a member of the Business Leadership Council for two and a half years and served as president for one and a half years. She provided some insight one what they do as members of the BLC. “Our main goal is to better connect students with faculty so that they work well together. We also support other CoB registered student organizations by providing them with funds throughout the year,” she said. The BLC has meetings every Wednesday at 5 p.m. where the other business-oriented registered student organizations (RSOs) discuss projects and events they are working on. Through their meetings, they help business RSOs coordinate and partner on events together. They also provide updates on the college to the members. The BLC is a big supporter of giving back to the community. This October was the sixth year they partnered with the Student Center to do a Zumba for Hope event for which they sold t-shirts and raffle tickets. Proceeds went to the SIU Start Seeing Pink campaign which supports breast cancer scholarships. This Thanksgiving, they managed the collection of non-perishable food items for donation to the local Good Samaritan House which supports the needy in the Carbondale area. “We decided to run a food drive for the Good Samaritan House because they are local and we have built up a relationship with them in past years,” Lucas said. She also shared that the organization has helped her, personally. “They helped me jump my car battery once. I didn’t know how to do it and one of the employees came outside to help me out,” she shared. They were able to collect four large paper bags of goods with nearly 50 cans of food and gave the donation in the name of the College of Business. “They were very grateful when we presented the donation. Hopefully, in future years, it can get bigger,” Lucas said. She also shared that being a member of the BLC has allowed her to develop leadership communication skills she is sure to use in her career. “Being with the BLC has made me a better leader. I learned how to work with a team to delegate responsibility instead of just putting all the work on myself. I also learned how I best lead people,” she said. Other organizations Lucas has been involved with include the Saluki Student Investment Fund (SSIF), Delta Sigma Theta Sorority, Inc. and the Student Programming Council. Her involvement in these activities helped her develop important people skills. “I’ve been able to network with more people through these activities. There are different types of people in each organization and I’ve been able learn how to connect with the different people in each organization,” she said. Her ability to network was actually an important contributor to her attaining her post-graduation job. Lucas met representatives from the company on a Saluki Student Investment Fund trip and made a connection she was able to tap into for her application process. She starts her position in the reporting department of NISA Investment Advisors on Dec. 28. Her advice to students is to be more open to opportunities and not be afraid to try new things. “College is the time to experience who you are and who you will be. Trying and experimenting with different things helps you form a clearer idea of who that is,” Lucas said. In the spirit of the recent Thanksgiving holiday, Lucas shared what she is most grateful for. “I am thankful for my family, friends, my early graduation and this new job. Everything has worked out and I’m happy to have all my ducks in a row,” she shared.